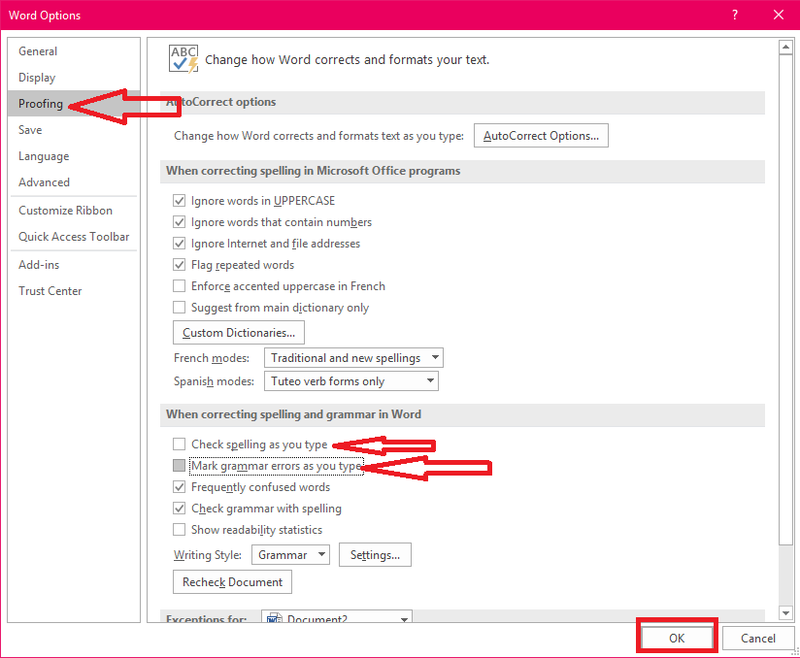 Checking spelling and grammar is a default built in feature of Microsoft Word, but sometime we need to hide and remove these red green or blue lines from words or sentence, for this we have two options one is ignore all spelling check from the word doc, second is disable this feature, lets see how to do this. 1. 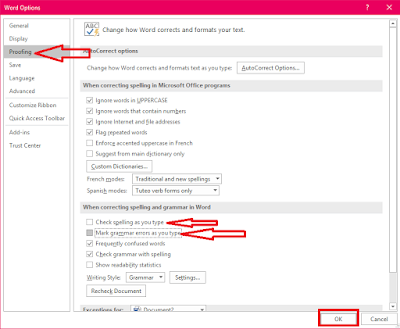 First is right click on word or sentence and select “Ignore All” this will ignore spell and grammar check for the same word of the entire document. 2. 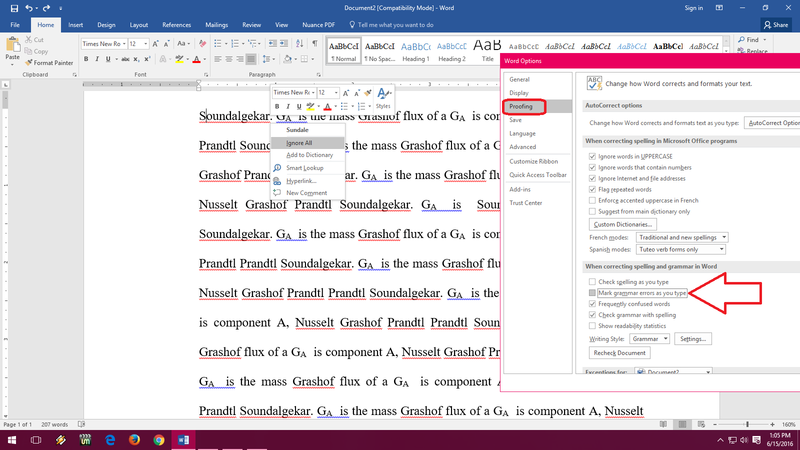 The second method is hide the spell check, to do this click on “File” – “Option” click on “Proofing”, uncheck the “Check spelling as you type” and “Mark grammar errors as you type” and “Ok” this will remove all suggestion of spell and grammar for the document and also remove red green and blue lines.